Context: I am working on a project to turn a laptop in to a monitor-keyboard combination for a desktop computer so I can use it on a couch without any other furniture. I have never tried anything like this before, so I am certainly inexperienced in this matter. To do this, I am putting in a USB keyboard and a monitor controller for the monitor in to an old empty laptop chassis. But I am having a problem finding a monitor controller I am sure will work for a 4k monitor. According to resources I've read online, I need to look at the monitor and find a monitor model number and look up a compatible monitor controller that I know work for certain. Most of the 4k laptop monitors I have seen have a 40 pin connector and according to a laptop screen seller I intend to buy from, the 40 pin format is standard and uses the same 40-pin eDP QHD+ interface (I could be wrong about this). Before I spend money on the actual hardware, I would like to be a bit more certain. Question: If I get a 40 pin no-touch 4k LCD laptop screen and a 40 pin 4k LCD controller, will they be compatible? Meaning, is this interface standard, or is it just the connector standard and different screens use different hardware protocols or something? Also, if I am approaching the monitor conversion incorrectly, I would also like to know. From my experience with buying LCD controllers, there is no standard. You will need to check with the controller's manufacturer/seller and ask if the make and model of your LCD is compatible with it. While there are some standards when it comes to Laptop LCDs, they're not like standards that you're familiar with. They are not like HDMI or DisplayPort where they are highly standardized and automatically configure their settings (ie EDID) in an effort to make things compatible. 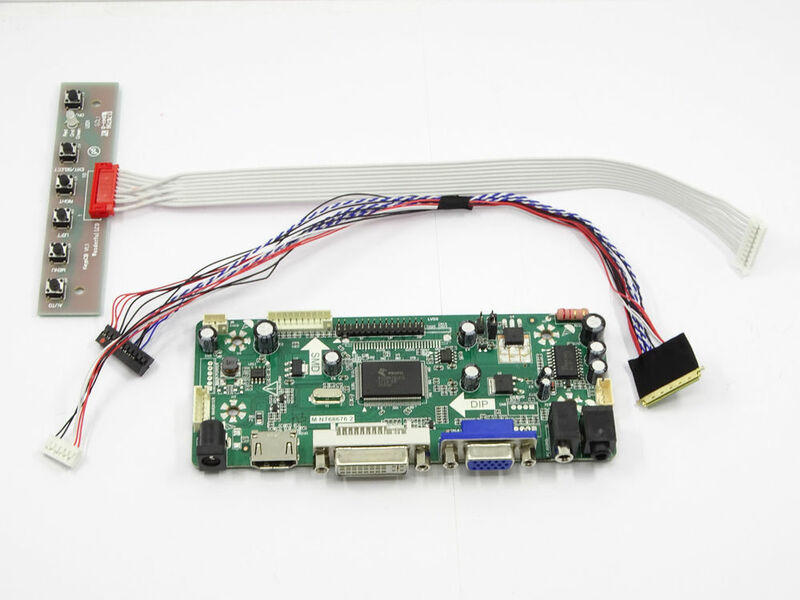 If you want to drive a laptop LCD, you will need a specific, custom, or programmed controller board to do so. The good news is that a few years back, someone figured this kind of product would be a good idea, so you can probably find what you are looking for. Probably from China, and definitely on eBay and Amazon. You'll want to find the specific model of the LCD in your laptop and order a board such as this one. My guess is that these things are programmable, and the people selling them burn the proper settings into the chip to drive the relevant LCD. If your goal is to control the desktop PC from a laptop, how about using a regular laptop to connect to the desktop PC over Remote Desktop or VNC? Not the answer you're looking for? Browse other questions tagged laptop display or ask your own question. Does a portable secondary laptop LCD monitor exist? Problem with ASUS V2S lcd screen - Inverter or Lcd screen? Back light not workng, replaced laptop LCD, next step? How to check if my laptop is thunderbolt 3 enabled? Can 120 Hz monitor reduce screen stutters, if it can, does MSI GE62VR-7RF compatible with 120Hz Full HD screen from MSI GE63VR?